Intricate vines and leaves interlace gracefully to form this signature ring. Vine rings are available in various sizes, and each size is a unique design. 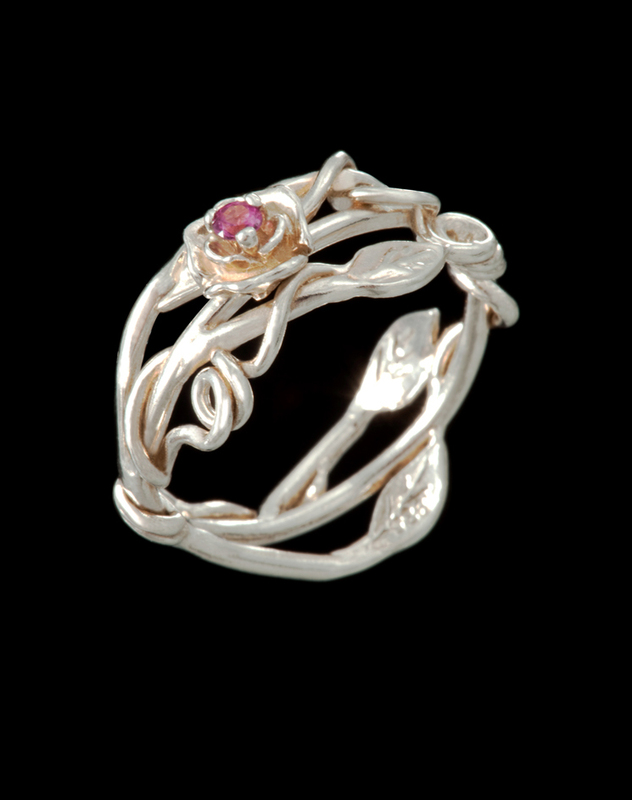 Vine rings are also available with or without a flower setting and 2mm stone of your choice. Ring shown with a pink garnet.